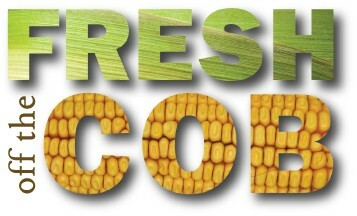 Our passion is to provide the highest quality corn products for our customers. The corn we process goes into the products our families eat every day. That’s something we’re very proud of. That passion has carried us through 40 years in business and will continue to drive us for years to come. By hiring great people, innovating to produce excellent products and continuing to focus on exceptional service, we keep looking for ways to reinvent the way we do business. That’s the Didion Difference! Overall, the U.S. dry corn milling business grows one percent to two percent per year, so our unique approach to corn milling is our key to being competitive in the domestic market. We’ve grown because of our sustainable business model – built on the synergy between our facilities. The dry corn mill and ethanol plant need complementary inputs, enabling us to glean the greatest value from every piece of every corn kernel that passes through our facilities. We carefully select the best parts of the kernel for food production and use the rest to make homegrown biofuels. The consistent input and constant innovation drive efficiency and sustainability in both facilities. This results in high-quality finished products for our customers. Our small size and family-owned mentality have given us an edge because we can respond quickly to market demands and customize products to customer needs. It all comes back to our passion for maximizing every kernel of corn that passes through our facilities. That passion inspires us to take a fresh look at corn milling every day. 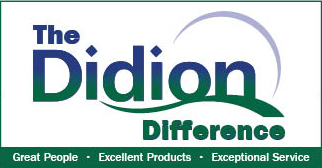 At Didion, innovation is a way of life. And we’ll never be done improving. Milling 101 is a six part series about Didion’s unique approach to corn milling, our products and quality standards. This entry was posted in Milling 101, Products and tagged biofuel, corn, corn milling, food production. Bookmark the permalink.